Partovi, S., Sadeghnejad, S. (2018). Reservoir Rock Characterization Using Wavelet Transform and Fractal Dimension. Iranian Journal of Chemistry and Chemical Engineering (IJCCE), 37(3), 223-233. Seyyed Mohammad Amin Partovi; Saeid Sadeghnejad. "Reservoir Rock Characterization Using Wavelet Transform and Fractal Dimension". Iranian Journal of Chemistry and Chemical Engineering (IJCCE), 37, 3, 2018, 223-233. Partovi, S., Sadeghnejad, S. (2018). 'Reservoir Rock Characterization Using Wavelet Transform and Fractal Dimension', Iranian Journal of Chemistry and Chemical Engineering (IJCCE), 37(3), pp. 223-233. Partovi, S., Sadeghnejad, S. Reservoir Rock Characterization Using Wavelet Transform and Fractal Dimension. Iranian Journal of Chemistry and Chemical Engineering (IJCCE), 2018; 37(3): 223-233. The aim of this study is to characterize and find the location of geological boundaries in different wells across a reservoir. Automatic detection of the geological boundaries can facilitate the matching of the stratigraphic layers in a reservoir and finally can lead to a correct reservoir rock characterization. Nowadays, the well-to-well correlation with the aim of finding the geological layers in different wells is usually done manually. For a rather moderate-size field with a large number of wells (e.g., 150 wells), the construction of such a correlation by hand is a quite complex, labor-intensive, and time-consuming. In this research, the wavelet transform as well as the fractal analysis, with the aid of the pattern recognition techniques, are used to find the geological boundaries automatically. In this study, we manage to use the wavelet transforms approach to calculate the fractal dimension of different geological layers. In this process, two main features, the statistical characteristics as well as the fractal dimensions of a moving window, are calculated to find a specific geological boundary from a witness well through different observation wells. To validate the proposed technique, it is implemented in seven wells of one of the Iranian onshore fields in the south-west of Iran. The results show the capability of the introduced automatic method in detection of the geological boundaries in well-to-well correlations. 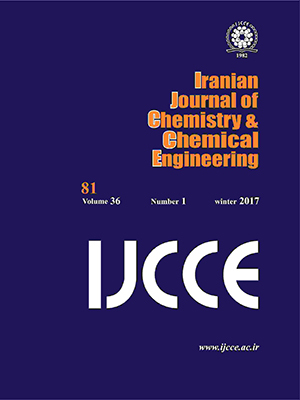 Afshari S., Aminshahidy B., Pishvaie M.R., Well Placement Optimization Using Differential Evolution Algorithm, Iranian Journal of Chemistry and Chemical Engineering (IJCCE), 34(2): 109-116 (2015). A Comparative Study, Iranian Journal of Chemistry and Chemical Engineering (IJCCE), 33(1): 75-91 (2014). to Evaluate Reservoir Connectivity and Effective Permeability: A Case Study on North Pars Gas Field, Scientia Iranica. Volume, 18(6): 1391-1396 (2011). Sadeghnejad S., Masihi M., Pishvaie M., Shojaei A., King P.R., Estimating the Connected Volume of Hydrocarbon During Early Reservoir Life by Percolation Theory, Energy Sources, Part A: Recovery, Utilization, and Environmental Effects,36(3): 301-308 (2010). Partovi S.M.A., Sadeghnejad S., Fractal Parameters and Well-Logs Investigation Using Automated Well-to-Well Correlation, Computers & Geosciences, 103: 59-69 (2017). Rivera Vega N., “Reservoir Characterization Using Wavelet Transforms”, Master Thesis, Texas A&M University (2004). Zoraster S., Paruchuri R., Darby S., “Curve Alignment for Well-to-Well Log Correlation”, SPE Annual Technical Conference and Exhibition. Society of Petroleum Engineers (2004). Yuan X., Guo Y., Yu Y., Shen Y., Shao Y., Correlation and Analysis of Well-Log Sequence with Milankovitch Cycles as Rulers: A Case Study of Coal-Bearing Strata of Late Permian in Western Guizhou, International Journal of Mining Science and Technology, 23(4): 563-568 (2013). Perez-Muñoz T., Velasco-Hernandez J., Hernandez-Martinez E., Wavelet Transform Analysis for Lithological Characteristics Identification in Siliciclastic Oil Fields, Journal of Applied Geophysics, 98: 298-308 (2013). Lapkovsky V.V., Istomin A.V., Kontorovich V.A, Berdov V.A., Correlation of Well Logs as a Multidimensional Optimization Problem, Russian Geology and Geophysics, 56(3): 487-492 (2015). Dorigo M., “Optimization, Learning and Natural Algorithms”, Ph. D. Thesis, Politecnico di Milano, Italy. (1992). Lee C.Y., An Algorithm for Path Connections and Its Applications, Electronic Computers, IRE Transactions, (3): 346-365 (1961). Subhakar D., Chandrasekhar E., Reservoir Characterization Using Multifractal Detrended Fluctuation Analysis of Geophysical Well-Log Data, Physica A: Statistical Mechanics and Its Applications, 445: 57-65 (2016). Ye S.-J., Wellner R.W., Dunn P.A., “Rapid and Consistent Identification of Stratigraphic Boundaries and Stacking Patterns in Well Logs-An Automated Process Utilizing Wavelet Transforms and Beta Distributions”, SPE Middle East Oil & Gas Show and Conference. Society of Petroleum Engineers (2017). Kadkhodaie A., Rezaee R., Intelligent Sequence Stratigraphy Through a Wavelet-Based Decomposition of Well Log Data, Journal of Natural Gas Science and Engineering, 40: 38-50. 2017. Nie L., Shouguo W., Jianwei W., Zheng L., Lin X., Rui L., Continuous Wavelet Transform and Its Application to Resolving and Quantifying the Overlapped Voltammetric Peaks, Analytica Chimica Acta, 450(1): 185-192 (2001). Misiti M., Misiti Y., Oppenheim G., Poggi J.M., Matlab Wavelet Toolbox User's Guide. Version 3. (2004). Liu X., Wang H., Gu H., Fractal Characteristic Analysis of Electrochemical Noise with Wavelet Transform, Corrosion Science, 48(6): 1337-1367 (2006). Iftekharuddin K.M., Parra C., “Multiresolution-Fractal Feature Extraction and Tumor Detection: Analytical Modeling and Implementation”, Optical Science and Technology, SPIE's 48th Annual Meeting, International Society for Optics and Photonics (2003). Peitgen H.-O., Jürgens H., Saupe D., Chaos and “Fractals: New Frontiers of Science”, Springer Science & Business Media. (2006). A Multifractal Wavelet Model with Application to Network, Traffic, Information Theory, IEEE Transactions on., 45(3): 992-1018 (1999). Mandelbrot B.B., Van Ness J.W., Fractional Brownian Motions, Fractional Noises and Applications. SIAM Review, 10(4): 422-437 (1968). Cavanaugh J.E., Wang Y., Davis J.W., Locally Self-Similar Processes and Their Wavelet Analysis, Handbook of Statistics, 21: 93-135 (2003). Jacquet G., Harba R., “Wavelet Based Estimator for Fractional Brownian Motion: An Experimental Point of View”, Signal Processing Conference, 2004 12th European. IEEE (2004). Goncalves P., Riedi R., “Wavelet Analysis of Fractional Brownian Motion in Multifractal Time. in 17° Colloque Sur le Traitement du Signal et Des Images”, FRA, 1999. GRETSI, Groupe d’Etudes du Traitement du Signal et des Images (1999). Taqqu M.S., Teverovsky V., Willinger W., Estimators for Long-Range Dependence: An Empirical Study, Fractals, 3(04): 785-798 (1995). Higuchi T., Approach to an Irregular Time Series on the Basis of the Fractal Theory, Physica D: Nonlinear Phenomena, 31(2): 277-283 (1988). Beran J., “Statistics for Long-Memory Processes, volume 61 of Monographs on Statistics and Applied Probability”, New Y ork: Chapman and Hall. (1994). Soltani S., Simard P., Boichu D., Estimation of the Self-Similarity Parameter Using the Wavelet Transform, Signal Processing, 84(1): 117-123 (2004). Turcotte D.L., “Fractals and Chaos in Geology and Geophysics”, Cambridge University Press. (1997). Sadeghnejad S., Partovi S.M.A., “Reservoir Rock Characterization Using Wavelet Transform and Fractals Analysis”, The 9th International Chemical Engineering Congress & Exhibition (IChEC 2015), Shiraz, Iran (2015). Fitch P.J.R., Lovell M.R., Davies S.J., Pritchard T., Harvey P.K., An Integrated and Quantitative Approach to Petrophysical Heterogeneity, Marine and Petroleum Geology, 63: 82-96 (2015).